The MGB. The first car that comes to my mind when I think "British Sports Car". But, as I've learned since Mad Dogs and Englishmen, MGB's are a bit more interesting than I thought. 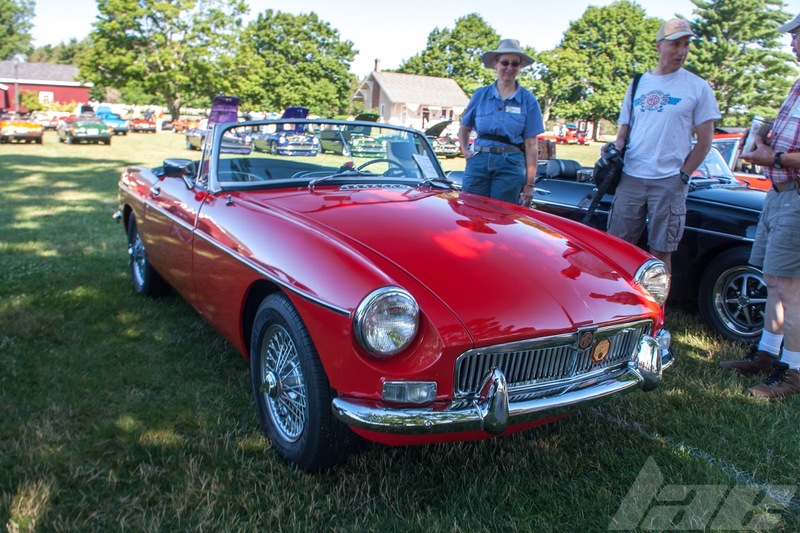 There are a few varieties of MGB that exist. 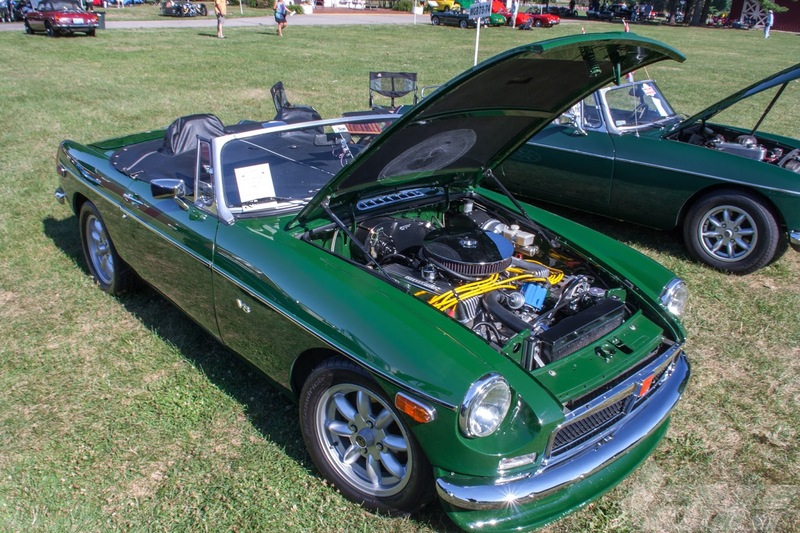 The most commonly seen example is the MGB Roadster, with other variants being the MGB GT shooting brake and the rare models with the 3.5L Rover V8. 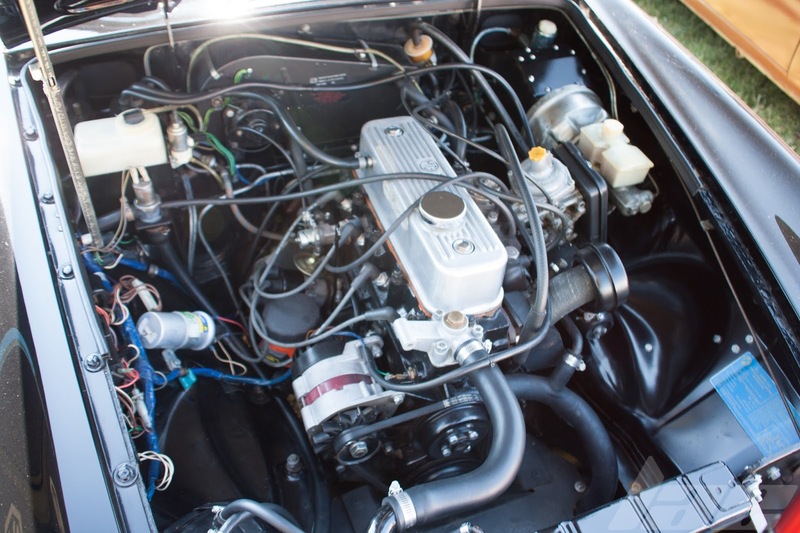 This example has the models most commonly used engine, the 1.8L I-4. making something like 100hp. 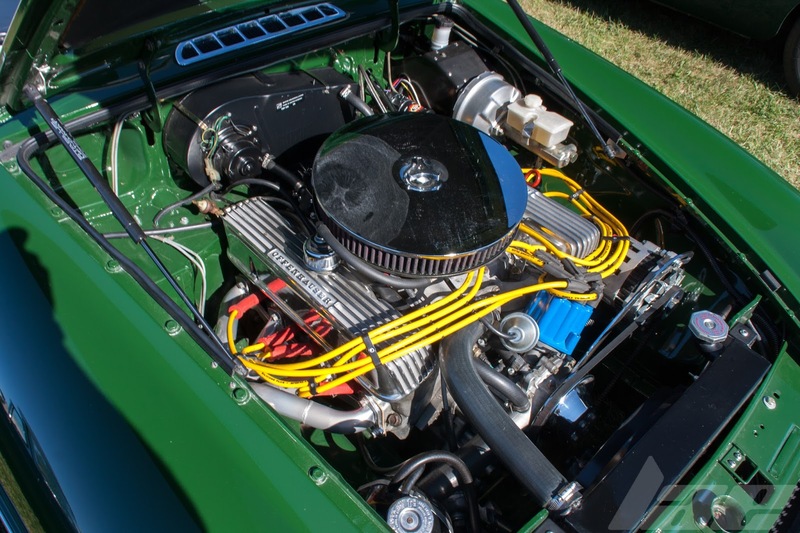 As is common with cars like this in America, this example has a Ford V8 in place of the 1.8L 4-cylinder. 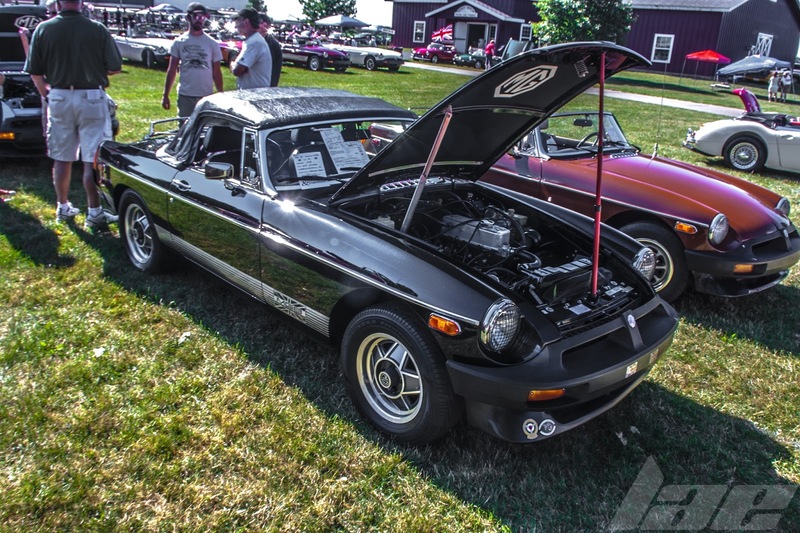 The MGB is a good looking little car, as well. 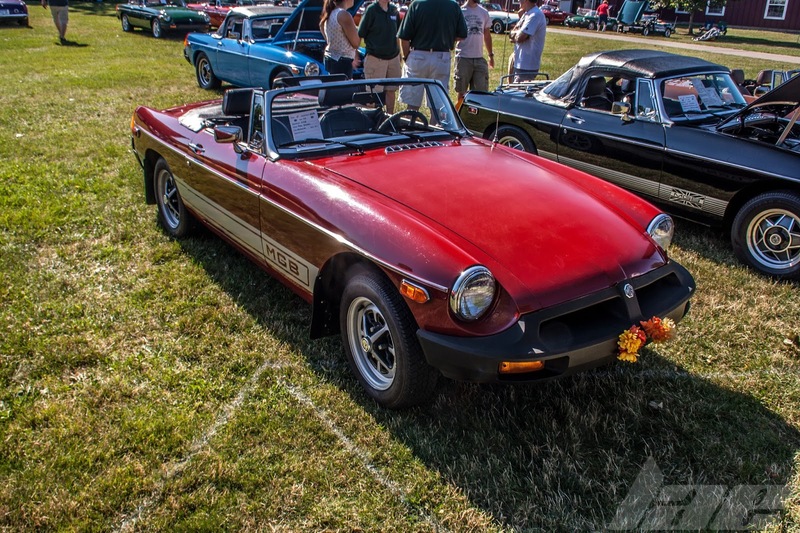 Following the same formula as the MGA, MGT and MG Midget, the car saw success in motorsport, and still holds a place in many enthusiasts garages. 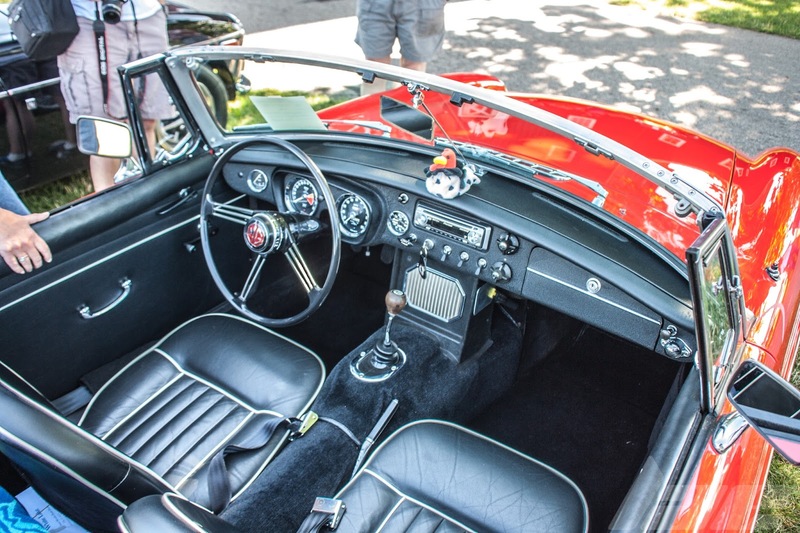 The interior was nicely outfitted, if not a bit on the spartan side, relative to modern cars. Still, it's a cool looking interior. 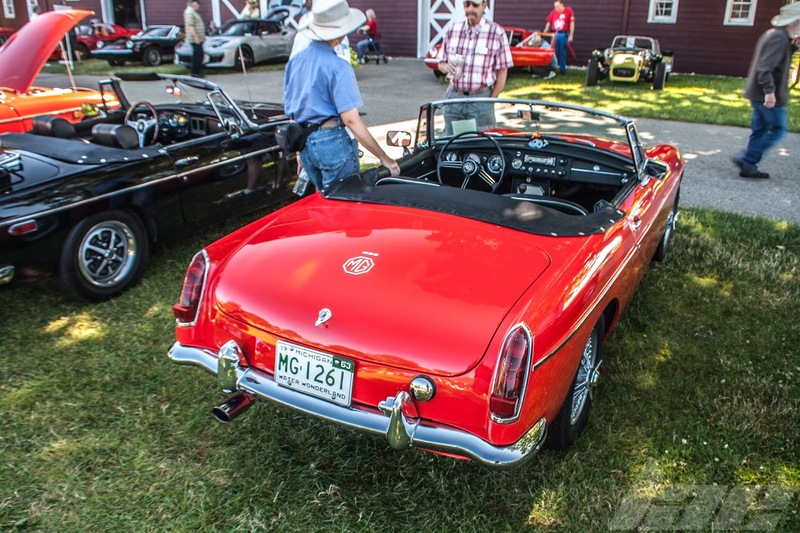 I'll Leave you with this final shot of this extremely nice MGB. Be sure to check back often for more content!